Polaroid Dua Flash – convergence or divergence? Following Canon's introduction of the Speedlite 320EX - a flashgun with a built-in LED video lamp - Polaroid have answered with the Dua Flash PL150 and PL160. Following Canon’s introduction of the Speedlite 320EX – a flashgun with a built-in LED video lamp – Polaroid have announced two of their own similar devices. The “Dua Flash” PL150 and PL160 are new speedlights with the same basic shell as each other. 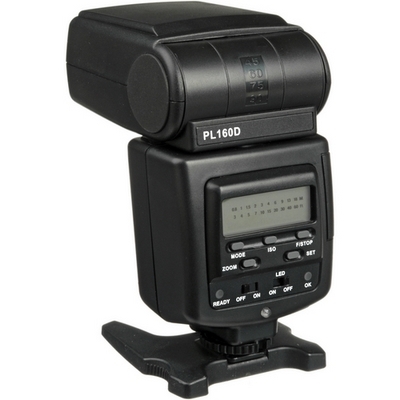 While the PL150 has only basic on/off control for the TTL flash and LED lamp, the more expensive PL160 benefits from an LCD “Info Central” and manual power adjustment from full to 1/16 power in 1-stop increments. Both units have a 6-LED continuous lighting array on the front of the unit, tilt, swivel and zoom. According to the manufacturer, the Dua Flash “assists professionals, hobbyists, general photography and videographer enthusiasts with a dual function LED video lighting solution”. The Dua Flash PL160 and PL150 each have separate dedicated models for all the major camera brands, providing automatic TTL support. 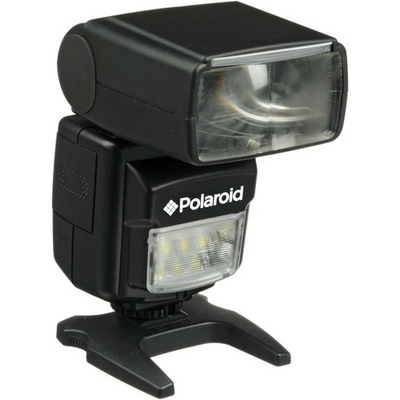 But how viable is the Polaroid Dua Flash series as a first speedlight? Or second? Or third? The PL160’s geological 9-second recycle period is barely surpassed by the feature-sparse PL150, which is just a second quicker. Polaroid’s pricing strategy of US$159 for the PL150 (£129 in the UK) and $199 for the PL160 (£159) might best be described as optimistic. In the same price range you’ll find the YN-565EX by Yongnuo and Di622 Mark II by Nissin, both of which are faster and offer more control.